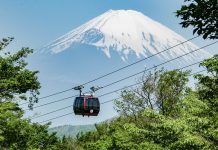 Japan is one of those places that everyone who’s visited raves about — the friendly and polite locals, the clean streets, a gastronomic heaven but… not so much the price. While we believe in being budget but not too shabby, we thought Japan would be a bit of a challenge. Taking a taste test for ourselves, we were pretty surprised to have delicious meals, feast on instaworthy sights, and stay at budget-friendly but comfortable accommodations for under S$70 a day! 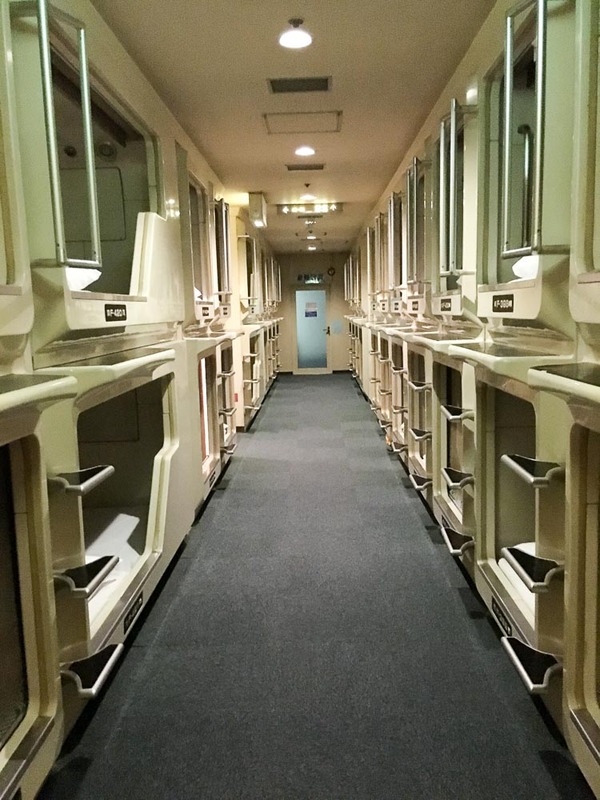 During our trip, our accommodation ranged from 20 bed hostel dorms to traditional guesthouses with tatami floors and even a capsule hotel with it’s own public bath and sauna access. 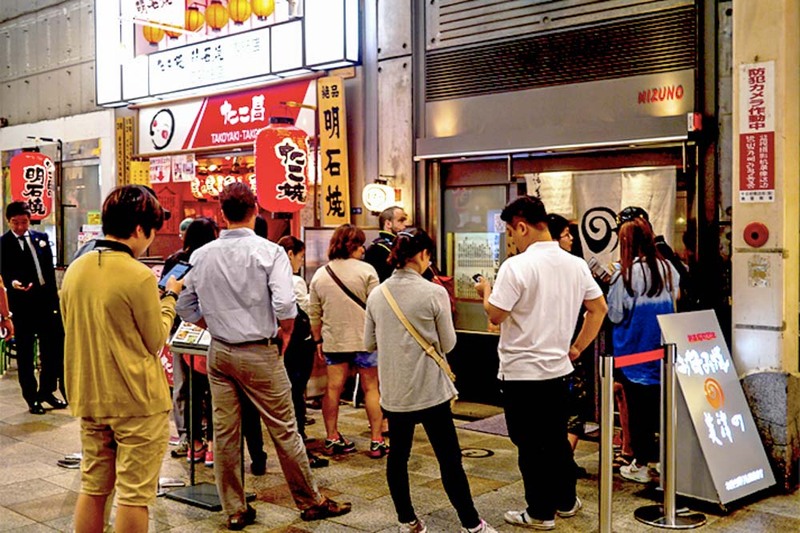 We sourced for a mixture of street food, local midnight ramen stalls and splurged once in a while on less budget but value for money restaurants. On average, we tried to tick off about 3-4 sights a day, striking the balance between seeing everything we wanted and not tiring ourselves out too much. 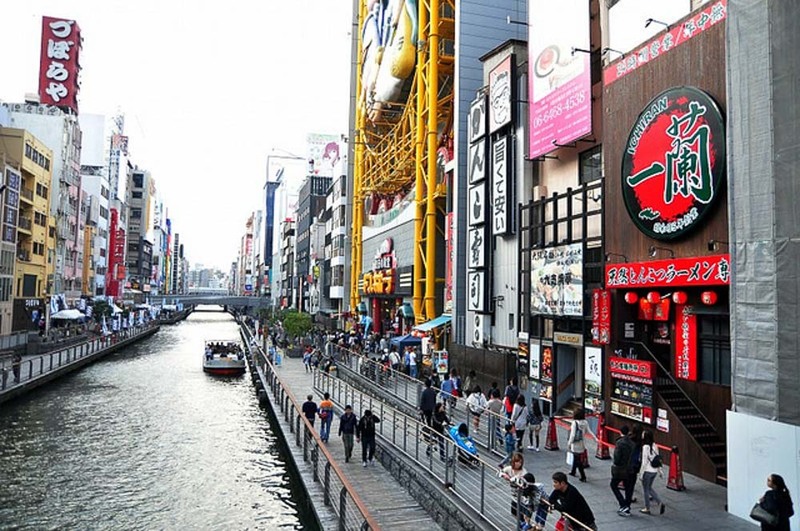 Here’s our Osaka budget guide on how we did it without scrimping on worthy experiences. Click on the link to jump to a relevant section! 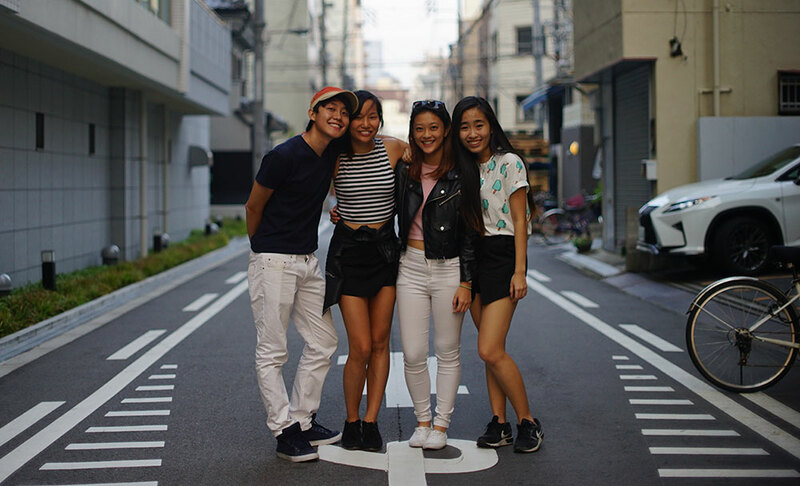 In Osaka we spent a night in a cosy hostel and another in a capsule hotel, picked based on the things we wanted to do around the area. Both of which were surprisingly spacious and cosy. Picking central areas for accommodation meant train rides to anywhere was only 10 – 20 minutes away. Each journey typically costs between ¥180 – 270 (~S$2.20-3.40) but because it was so complex changing lines, it sometimes made more sense to just walk whenever it was less than a 30 minute journey on foot. 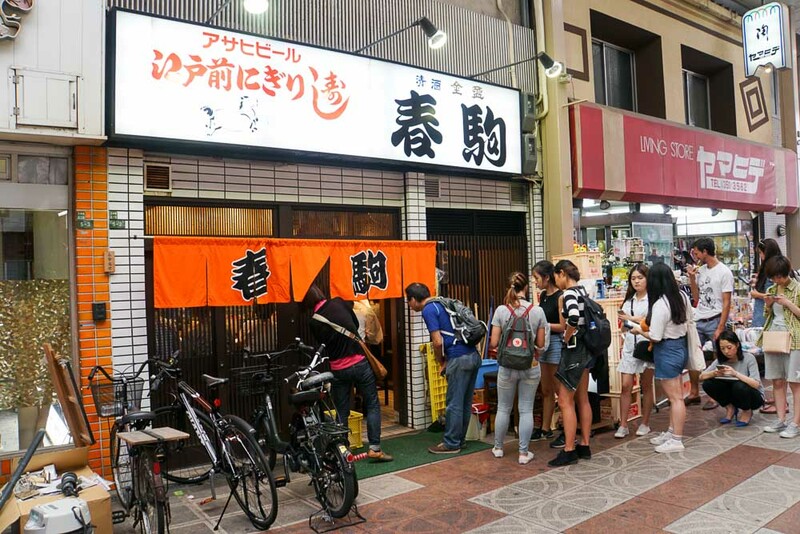 Surprisingly, most of the main attractions in Osaka can be done for free. Even the paid ones have beautiful gardens and surroundings that can be enjoyed without entering the main building. 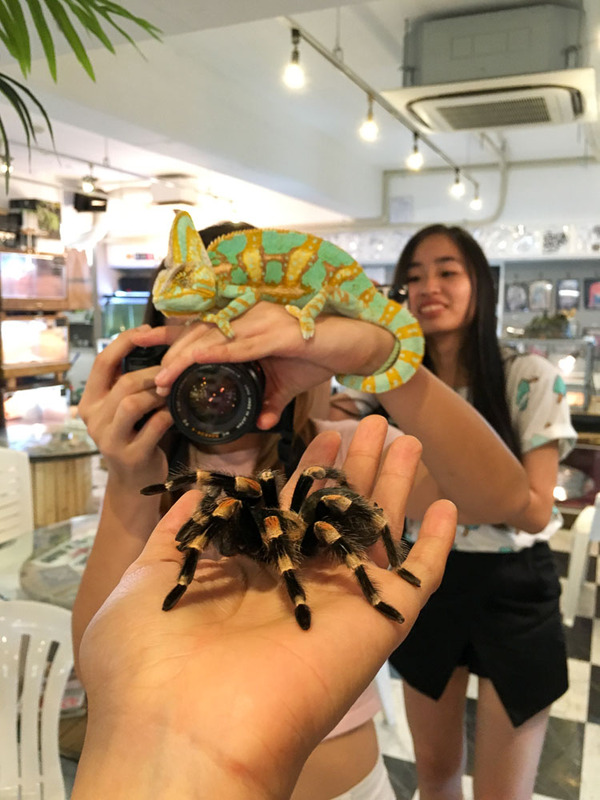 The only thing we paid for around here were the interesting animal cafes (hint: not cats nor dogs) which usually just asked for a drink order (albeit slightly pricier). 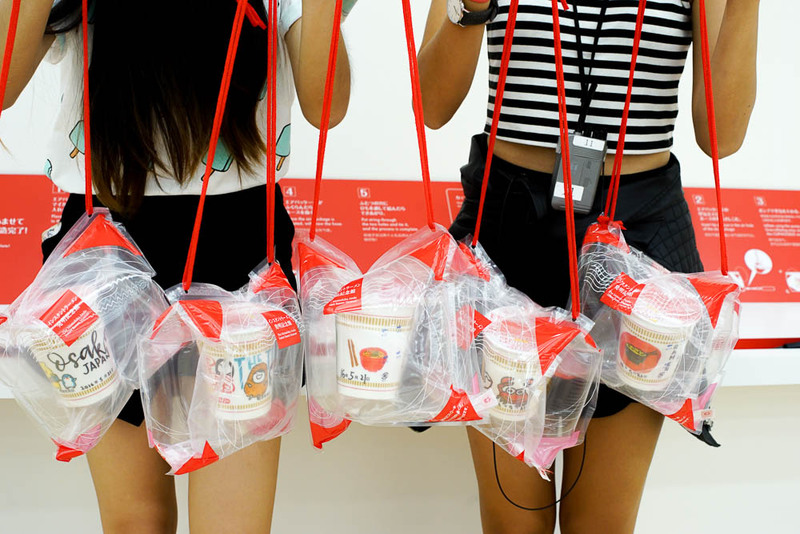 For ¥‎300, you get to design the cup of your own instant noodles, pick the soup base, ingredients, and watch it go through a vacuum seal and out the other end like a cup noodle from the convenience store. Audio sets are also available (for a ¥‎2000 refundable deposit) where you get a run through on the history of how instant noodles came about. 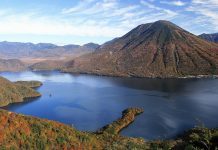 *Pro-tip: Because it’s located slightly further out from Osaka central, check out some of the attractions near Ikeda to make your trip worthwhile! From Takoyaki to Okonominyaki, you’ll surely return with a satisfied palette and bursting belly. 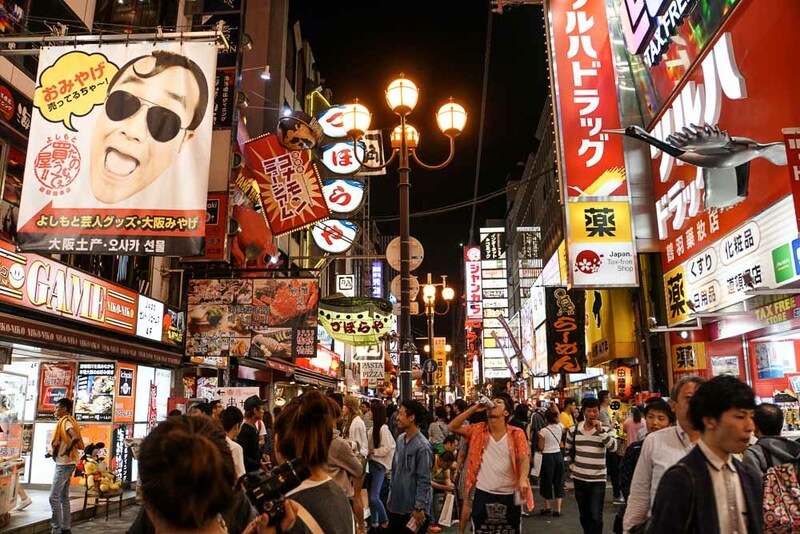 Lined with colourful neon signs and delectable scents fighting for your attention, it’s the place to be for amazing and affordable street food. 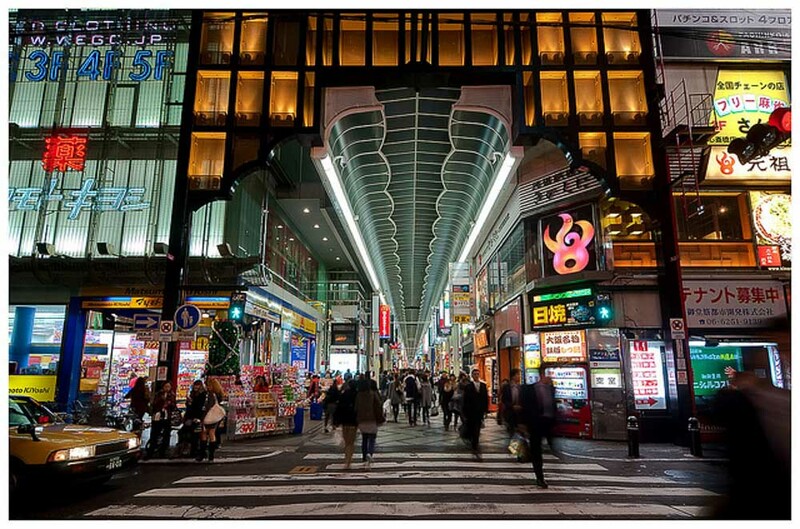 Perpetually crowded, this 600m long shopping arcade is lined with tax free drugstores (stock up on Japanese make up! 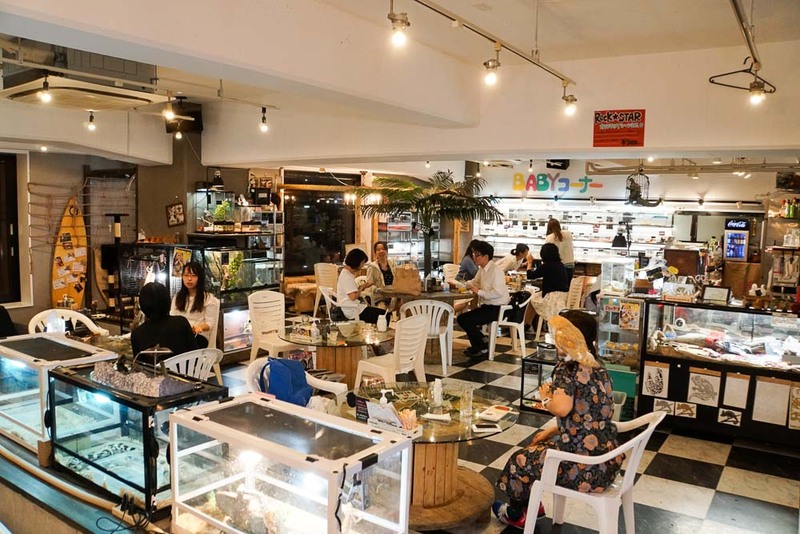 ), local boutiques, luxury brands and the occasional dessert store where you can get your baked cheese tarts and matcha delights. Pro-tip: Bring your passport to get tax reliefs at certain drugstores. (minimum spend of ¥5000 in a single receipt. Japan is mainly famous for their neko (cat) cafe but there are cafes with other interesting animals. 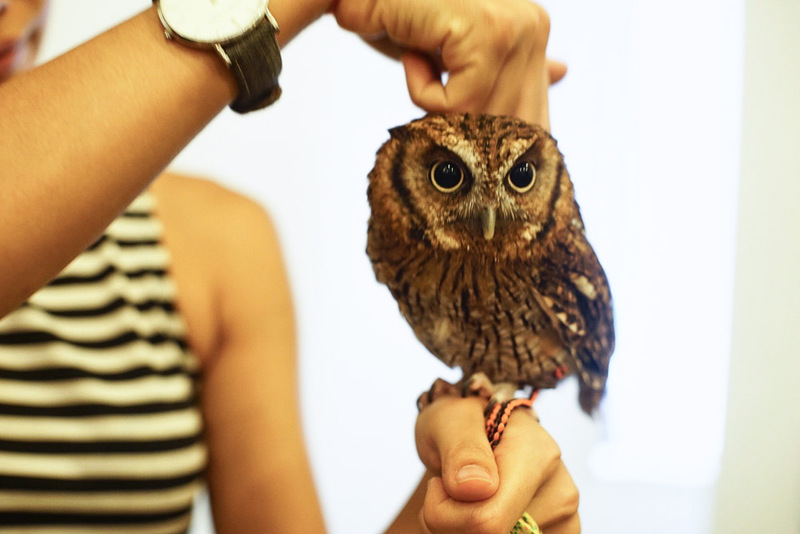 Get up close and personal with owls and maybe even reptiles and you’ll realise, everyone really is quite friendly around here. 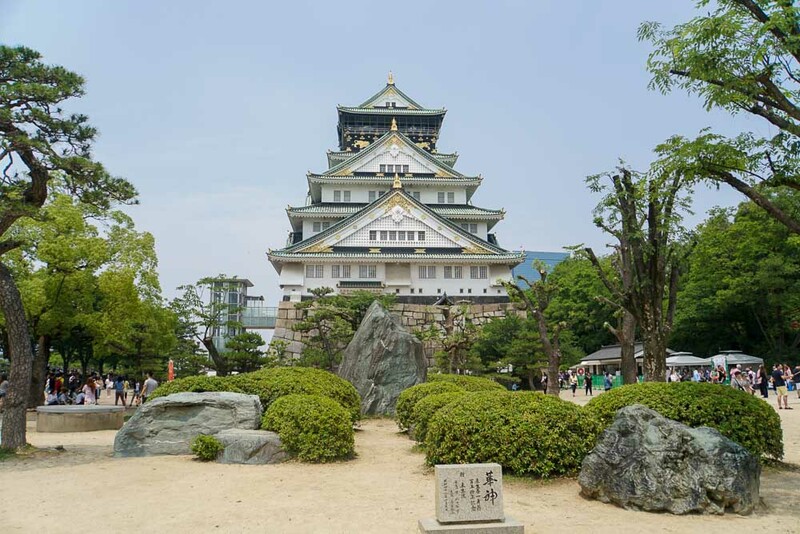 Osaka Jo (or Osaka Castle) is one of the must-see places in Osaka for it’s history, picturesque scenery and it’s 360° view of the Osaka skyline from the observation deck at the top. You’ll find many locals taking a jog around it’s compounds or having a picnic by the beautiful gardens. Apparently also a great spot to view the blossoming of cherry blossoms at the right time of the year. *Pro-tip: The Osaka Castle is located a good 10-15min walk from any station. Taking the bus may be a more convenient option. 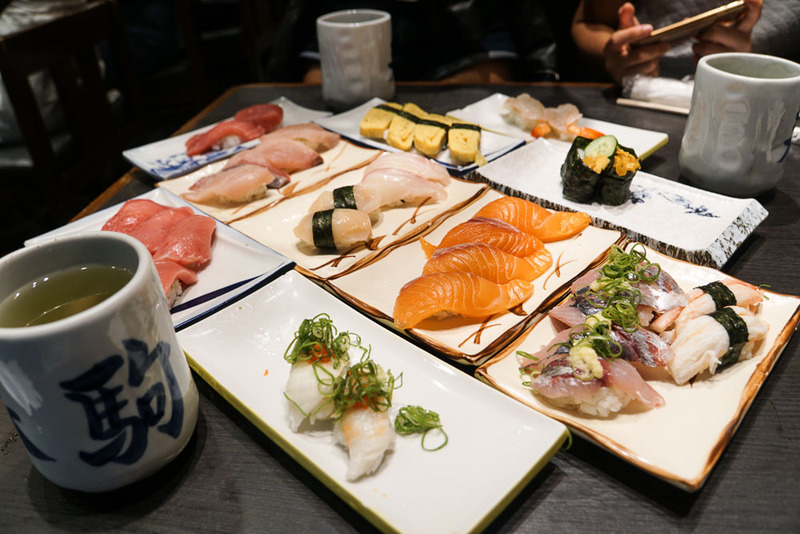 While the Tsukiji Fish Market in Tokyo usually gets all the attention, the Osaka Central Fish Market was probably our favourite highlight while in Osaka. Arriving at the market slightly lost as we were the only tourist in the area, we quickly found a cold room with rows of fresh Tuna fish laid out. The auctioning started at 4:15am sharp and by 4:45am, most of the fishes were transported to its new owners. Definitely worth waking extra early for! 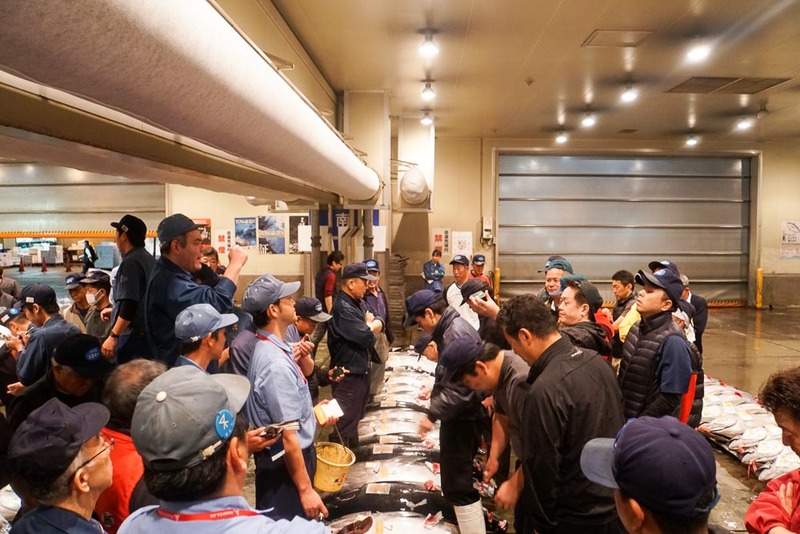 *Pro-tip: Reach at 4am to view the tuna auction which starts at 4:15am sharp everyday except on Sundays (finishes around 4:45am) so get there early! 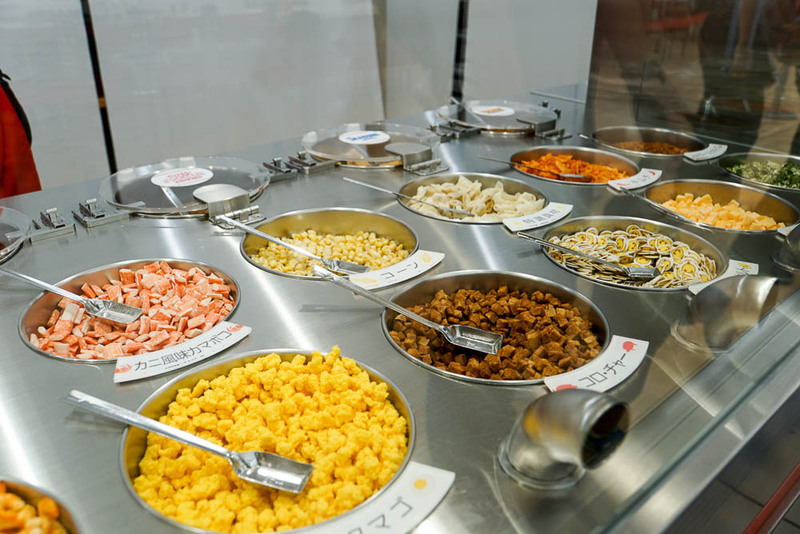 Although not an exhaustive list, here’s some of our favourite food finds and where to get them! 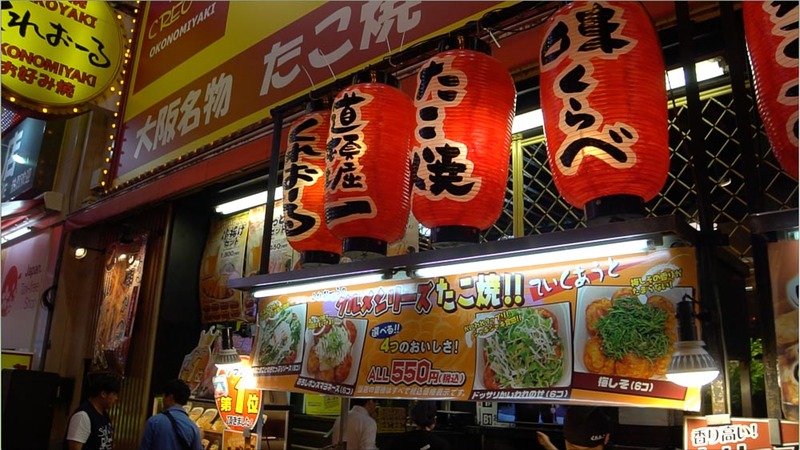 Okonominyaki is a popular dish in the Kansai region especially Osaka. 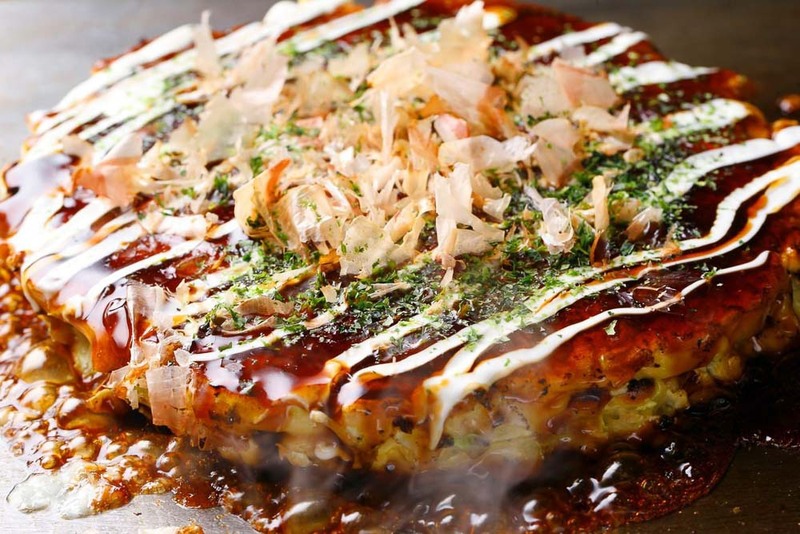 A savoury Japanese pancake with its ingredients mixed into the batter, slightly different from its other style where the ingredients are folded into the pancake. 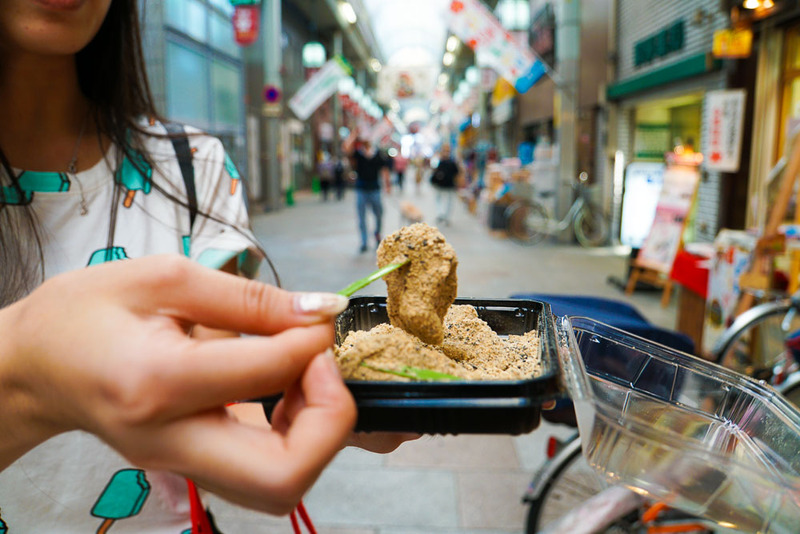 These little treats can be found near subway stations for as low as ¥‎140 to ¥‎2000 at a restaurant. 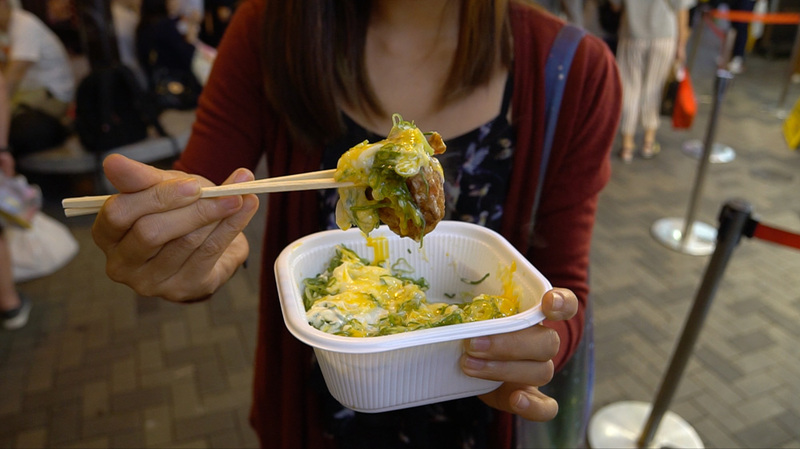 Grilled flour battered balls filled with tako (Octopus) sprinkled with green onions, takoyaki sauce and Japanese mayonnaise – we especially liked this one found at Dotonbori for its perfectly poached egg atop resulting in this gooey eggy goodness. Fresh, thick slices of fish, raw, grilled or blow torched atop fragrant vinegared rice, no one does it better than the Japanese (of course.) Easily found in supermarkets to Michelin-starred restaurants, here’s a few we thought were worth the visit! Although not the most budget option, this was probably one of the most value for money meals we had in Osaka. With thick slices of fish, just the right amount of rice and a healthy dose of wasabi, we were more than happy to spend our remaining yen on our last lunch here. Pro-tip: Don’t be disheartened to see a long queue, it moves quite fast and was definitely worth our wait! 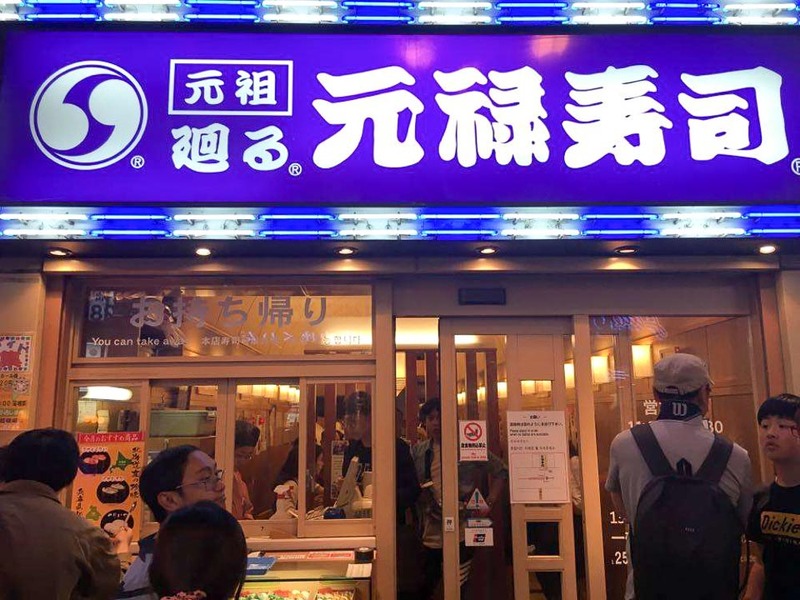 This conveyor belt sushi place also had a really long queue outside but was a good place to try a range of delicious sushi before continuing along Dotonbori for other street food. You may have tried Japanese mochi that comes in the form of a round ball with a creamy filling on the inside but these freshly made ones found at the Kuromon market was a nice surprise. Probably the softest, chewiest and freshest mochi I’ve ever had. Unfortunately, these only last 2 days so we couldn’t dabao (pack) some home. *Pro-tip: Get the fresh ones in clear plastic boxes instead of those nicely wrapped with wrapping paper and you’re more likely to get a freshly made batch of soft, tender mochi. 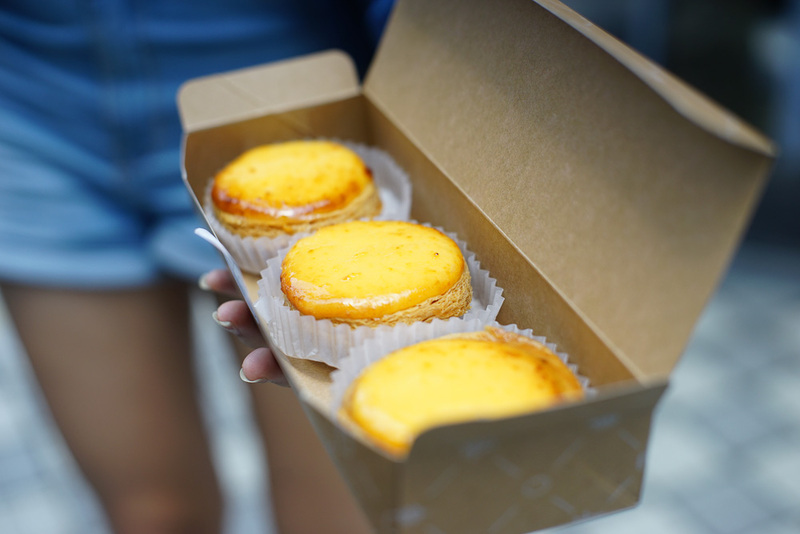 Smooth, mouse-like custard filling on a crispy buttered tart base, we finally understood all the hype around it. Found by accident because it was just a street out from our hostel, it was a good balance of sweet custard and the savoury flavours of cheese. But what we really liked about this compared to the others was how fragrant and crisp the tart base was! A little pricier than the ones found in chain bakeries but worth a try! 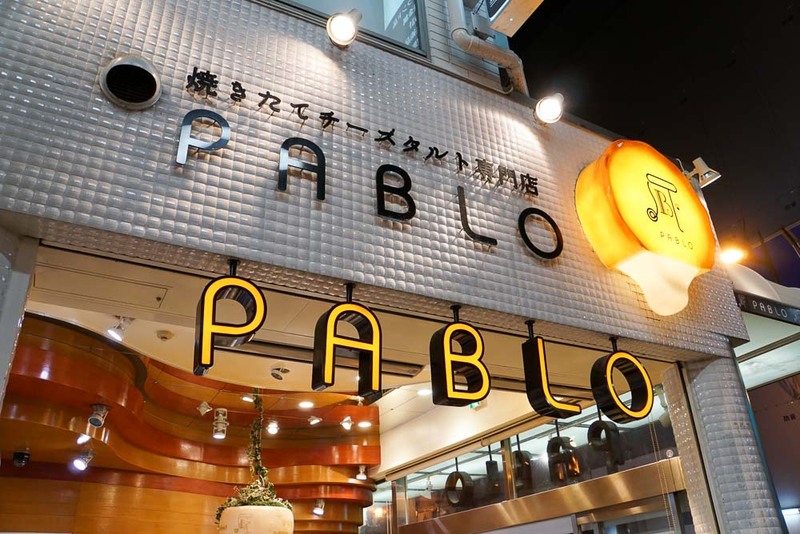 Pablo is a famous chain bakery in Osaka usually seen with long lines queuing for their famous cheese cakes and baked tarts. Their matcha cheese tart is a seasonal special available till June. 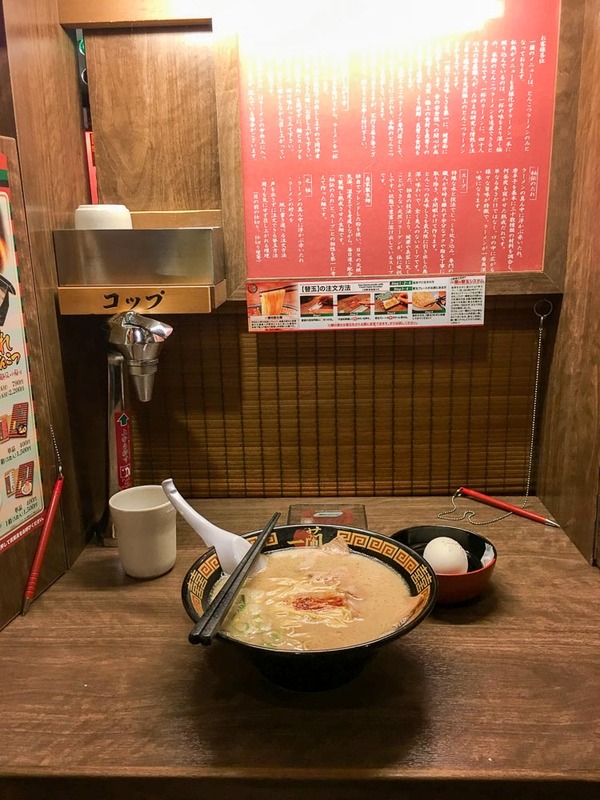 Famous for its MAZE Soupless ramen – instead the usual soup broth you find around Japan, this bowl of ramen came heaped with huge portions of minced meat, a light sauce, fresh spring onions and a raw egg on top. Mix it all together and enjoy it in all it’s awesomesauce goodness. 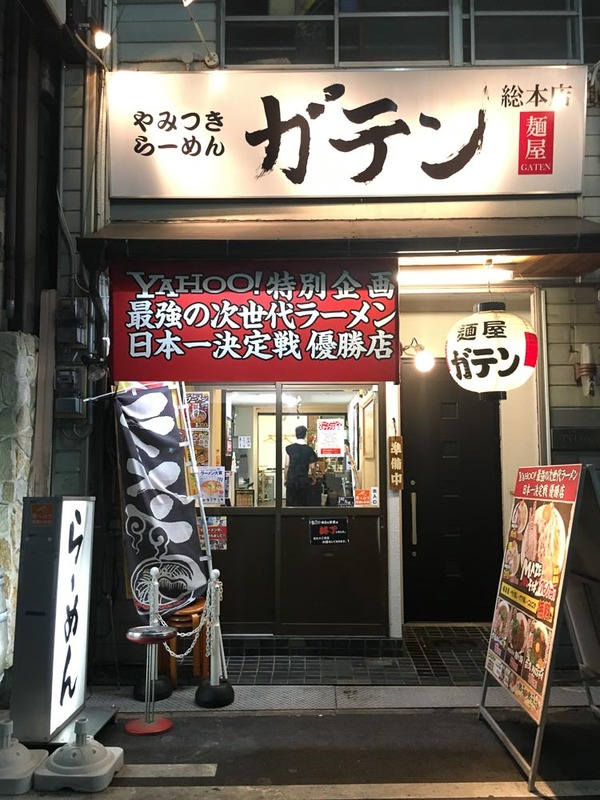 Ichiran is a chain restaurant also found in other cities other than Osaka. Open 24hours, it’s a great place to get a quick meal in the middle of the night. Especially loved the option to customise the noodle texture, broth, spiciness level and even amount of garlic. Also great for solo travellers with its single booth tables. 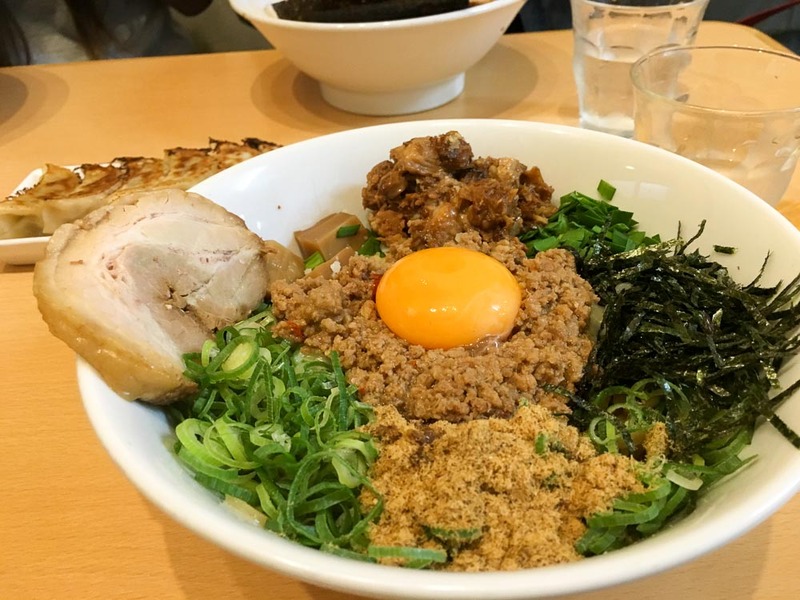 To fulfill more of your cravings in Osaka, check out our guide to 16 foods you must eat in Osaka and Kyoto. 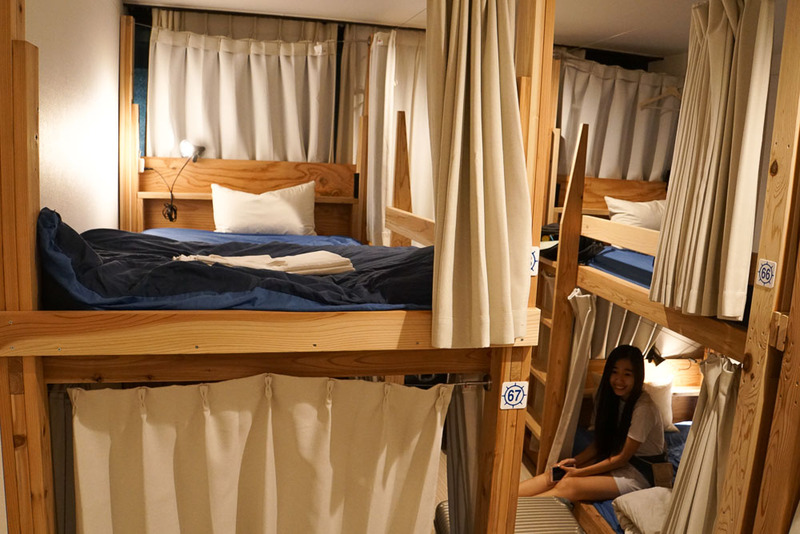 The only thing hostel-like about Ark Hostel is probably it’s bunk bed setting – although they also offer private rooms and female only dorms. Even so, we were pleasantly surprised at how big each of the beds were with thick curtains for privacy. The staff were especially friendly and helpful with giving us directions and recommendations around the area. Definitely somewhere we’d return to when we’re back in Osaka next time! 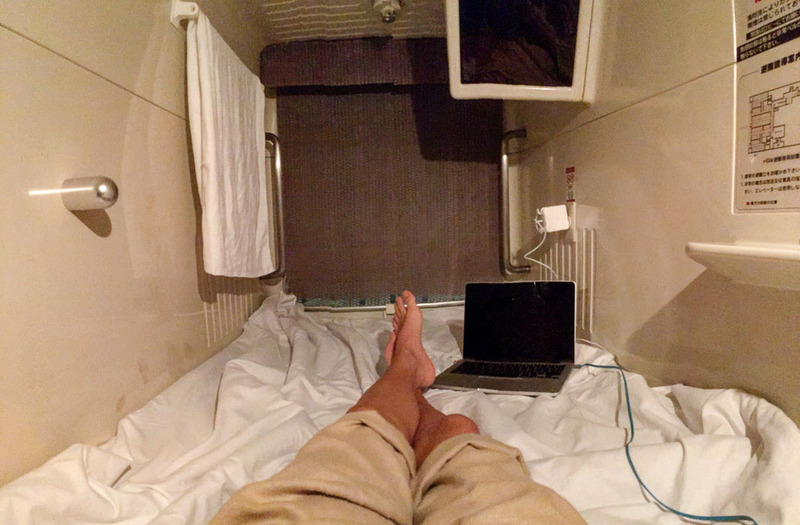 Initially skeptical about its claustrophobic setting, the pods were actually really spacious and cosy, probably a lot more privacy than you’d get from hostel beds (yes, even the Ark hostel’s). One thing to note is their showers are public (split between genders of course) but has a constantly running hot bath and a sauna room to enjoy. To plan our routes, we used CityMaps2Go and Navitime Japan Travel App while offline and the trusty Google Maps whenever we had wifi. Our 2 main modes of transport in Osaka were either by trains or by feet. The train system can seem overwhelming at first (honestly even at the end of the trip) so whenever it took less than 30minutes to walk to our destination we’d just opt for that (sometimes the train took only a few minutes less than walking). We soon figured that it just wasn’t worth getting any of the unlimited passes as we weren’t traveling too far out. However, upon more research, it might actually make sense to get an Icoca Prepaid Card. 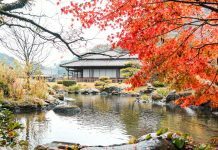 If you’re travelling to Kyoto and Nara, the Icoca Prepaid Card also covers these regions so you can save the hassle of dealing with buying single tickets before every train ride. 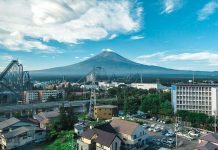 For ¥2,000 they can be purchased from Kansai Airport and includes a ¥500 refundable deposit – although, the card remains valid for 10 years so you might just want to save it for your next visit! 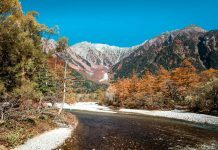 If you are travelling from Tokyo and would like to visit Osaka, this 7-Day Tokyo to Osaka JR Pass Itinerary will be perfect for you! 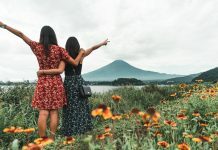 And if you’d like to explore beyond Osaka, check our JR Pass budget itinerary where we explored 9 cities in the Kansai-Hiroshima region for under $1.1k! Update: Scoot now flies to Osaka 10 times a week including both non-stop and direct flights (via Bangkok)! 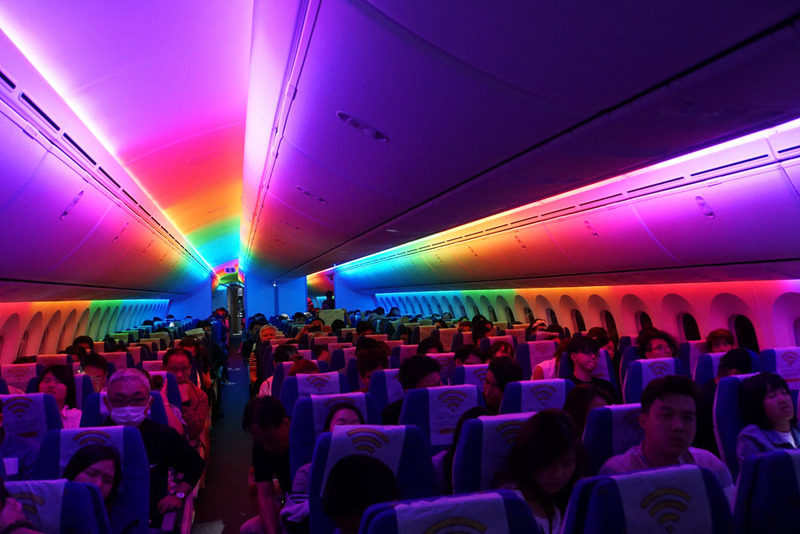 Although the flight via Bangkok was slightly longer than usual, we pretty much snoozed our way through in the comfortable 787 Dreamliner. It probably also helped that we were seated in the ScootinSilence quiet zone — an exclusive child-free area just behind the ScootBiz cabin — ensuring that we could get the rest we needed. Seats in this section also offer extra legroom as the seats are either Super (33-34″) or Stretch (34″). 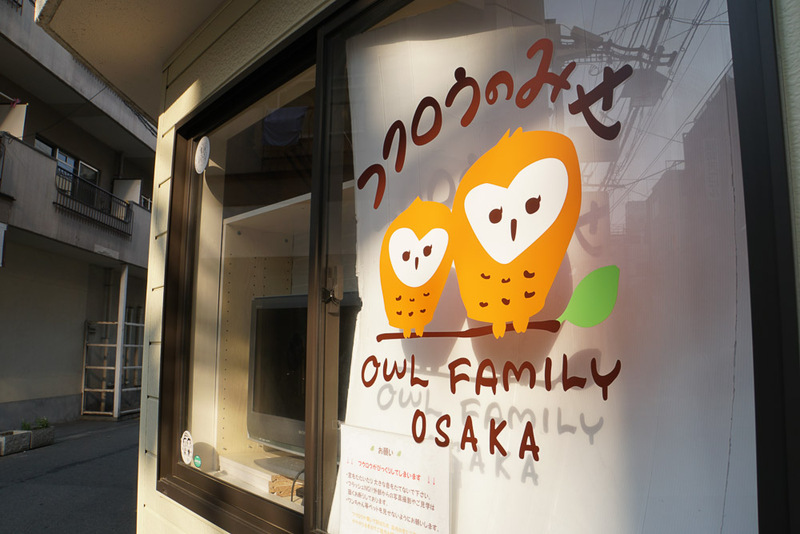 Do you have any favourites from Osaka we missed out in this guide? Let us know in the comments below! Strange, for us it was already displayed in English when we downloaded it from the Appstore. Really useful for planning our train routes in Osaka! 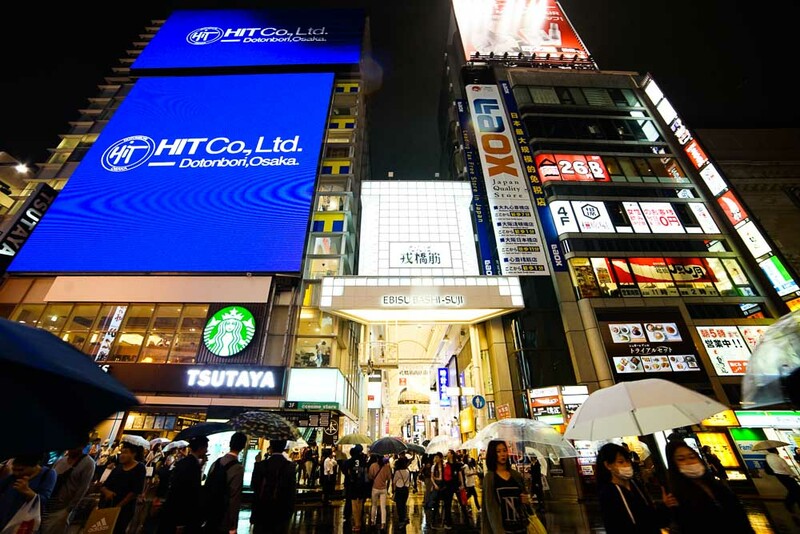 I want to know when you touched down Osaka airport (KIX), how do you transfer from terminal to your hotel? Are the places you visited are very near the Ark Hostel? The furthest place is probably the Momofuku Ando Instant Ramen museum at about 45 minutes by train. If i want to take a train from KIX to Osaka station, does that mean I have to activate my JR pass upon arrival? We suggest activating it only if you plan to use to continuously. If you are spending some time in Osaka, I’ll suggest activating it in Osaka later on!